Welcome to the Center for Biblical Counseling. We look forward to guiding you through Scripture to help you with the issues you are facing. We believe the Bible provides the answers to every situation we face in life and is completely trustworthy and accurate. We believe the Bible is the only tangible source of objective truth for mankind. We follow the Bible’s description of man as a fallen creature living in a fallen world. The solution for living in this world is found in God’s Word, the Bible. 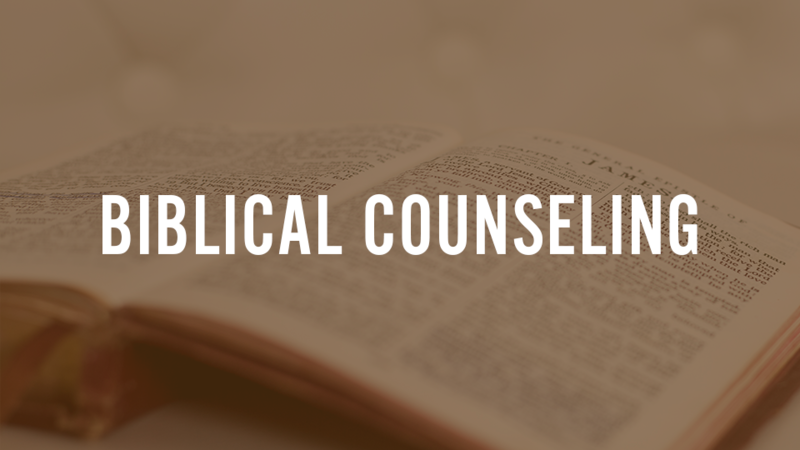 Here at the Center for Biblical Counseling, we will lead you to Scripture that deals directly with the issues you are facing. In John 8:31-32, our Lord Jesus promised his disciples if they would abide in His Word, they would be free. We can help you find freedom through Jesus Christ and His Word.